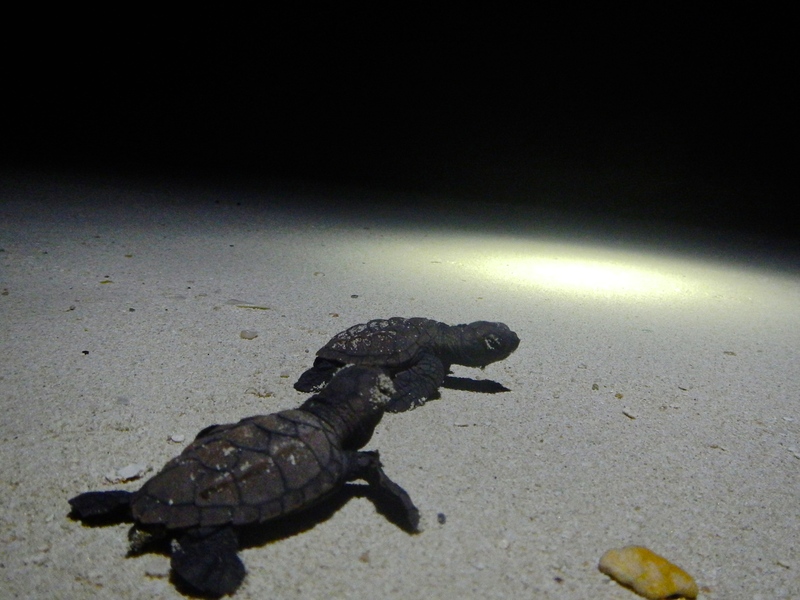 Shortly after 2am on July 24th, the Jumby Bay Hawksbill Project in Antigua observed our first hawksbill sea turtle hatchlings of the season! Hawksbills typically lay around 150 eggs that will incubate in their sandy chambers for 50-60 days. After hatching, the turtles will rest for one to two days while waiting for cooler nighttime temperatures. When the time is right, the hatchlings will emerge out of the sand all together as a clutch. Most of the hatches we’ve observed so far this season have incubated for upwards of 60 days, potentially due to slightly cooler temperatures in the early months of the nesting season. We’ve had 13 hatches in the past month, but we are expecting many more during the rest of the season.